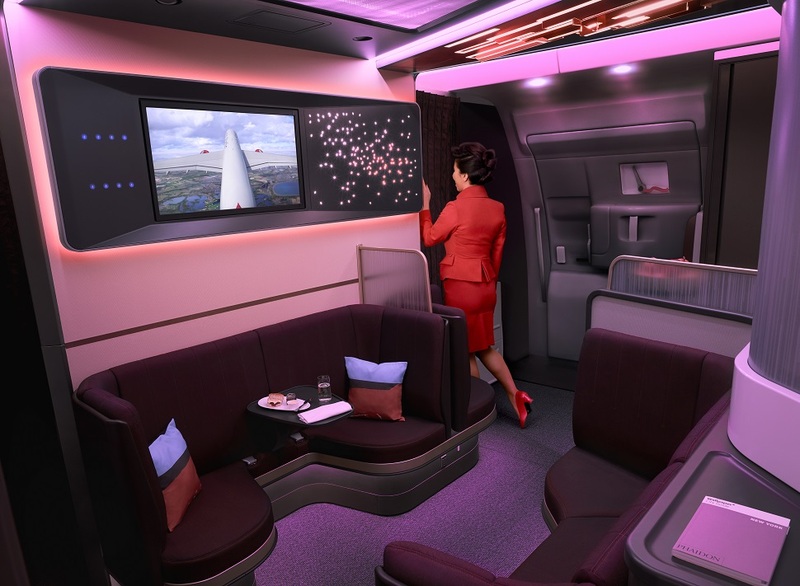 The new Upper Class suite has been unveiled by Virgin Atlantic as it will feature in its incoming A350-1000 fleet, alongside new products across the cabin. Manufactured by Safran, the lie-flat, direct-aisle-access seat – essentially the carrier’s business-class offering – is arranged in a 1-2-1 configuration. A new feature added to the cabin is a new “social space” known as “The Loft”, which replaces the bar featured in its current fleet. The area includes seating and a large screen with Bluetooth connectivity. The UK carrier has also unveiled a new premium economy seat, manufactured by Collins Aerospace, and an economy seat, manufactured by Recaro. 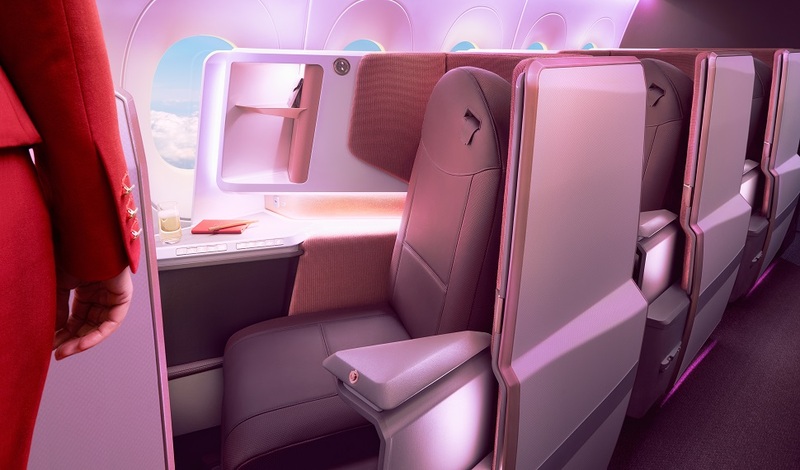 The new seats will feature on Virgin Atlantic’s A350-1000 fleet only, and the carrier currently has no plans to retrofit the rest of its aircraft. The airline’s first A350-1000, named Red Velvet, is due to go into service in late summer 2019. It will operate on Virgin Atlantic’s London Heathrow to New York John F Kennedy route. The carrier is set to receive four A350-1000s this year, and a further eight by the end of 2021.